Get ready for Star Wars-style fun with this Mr. Potato Head Luke Frywalkerfigure! 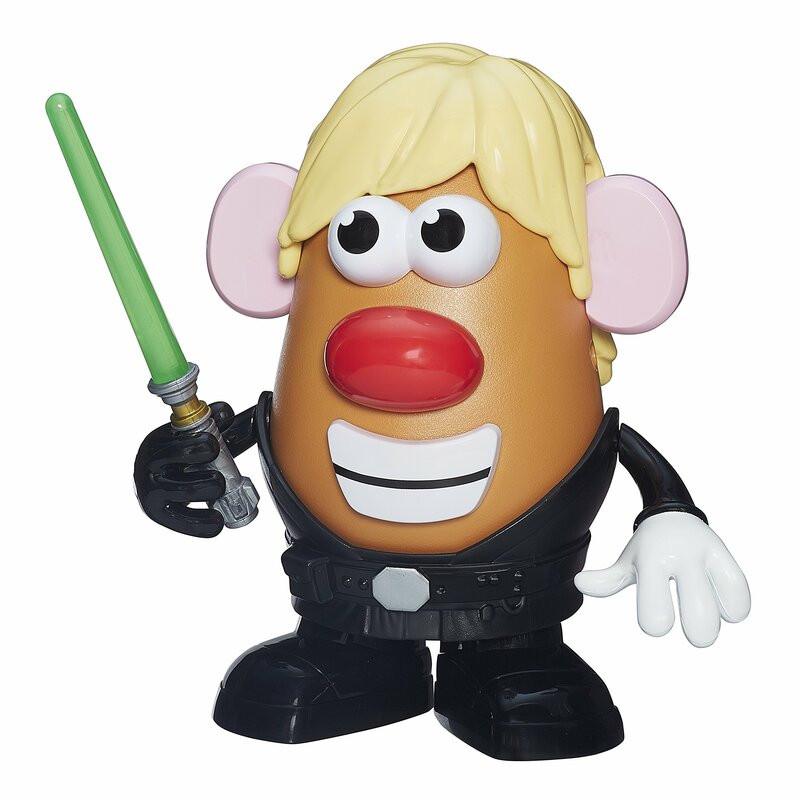 Like Luke Skywalker in a galaxy far, far away, this tater is outfittedfor the Jedi path with 6 character-based costume pieces, from Luke's iconicblonde hair to his trusty green lightsaber. With 5 additional classic piecesto mix in, this Luke Frywalker figure is ready for fantastic intergalacticaction! Star Wars products are produced by Hasbro under license from LucasfilmLtd. Hasbro and all related terms are trademarks of Hasbro.